Jerry Darkes is a fly tackle sales rep, writer, and instructor/guide based in northern OH. 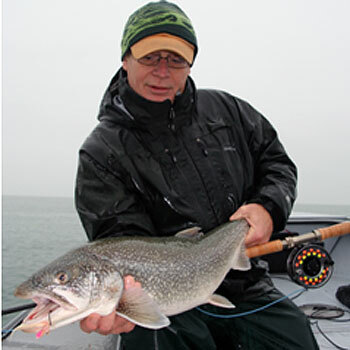 He has over 4 decades of fly fishing experience in both fresh and saltwater and is recognized as an expert on Great Lakes steelhead and warmwater fly fishing. Jerry has written many articles for a variety of fly fishing publications. Recently, he has been most active in promoting fly fishing on the waters of the Great Lakes. His first book, Fly Fishing the Inland Oceans- An Angler’s Guide to Finding and Catching Fish in the Great Lakes was released through Stackpole Publishing in September, 2013. His second book, Fly Tyer’s Guide to Tying Essential Bass and Panfish Flies was just released by Lyons Publishing.